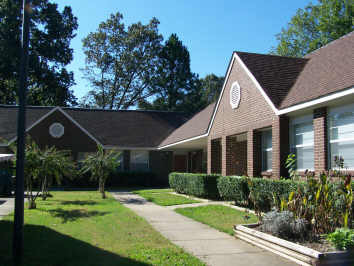 This HUD constructed apartment complex is located on South Road in Jacksonville and contains 20 one-bedroom apartments. This facility was named in honor of Col. McLyle and Mrs. Joan Zumwalt in recognition of their years of service to Pathfinder since its inception in 1971. Dedicated in 1988, this is one of the first apartment complex built by Pathfinder. Pathfinder Supported Living Apartments provide a carefully balanced framework of home environment, specialized professional services, and a gradual decrease of supervision to encourage self-respect, responsible judgment, and practical life experiences. Progress is monitored with the development of an individualized program plan and through measurable outcomes that teach self development, decision making, and home management skills.